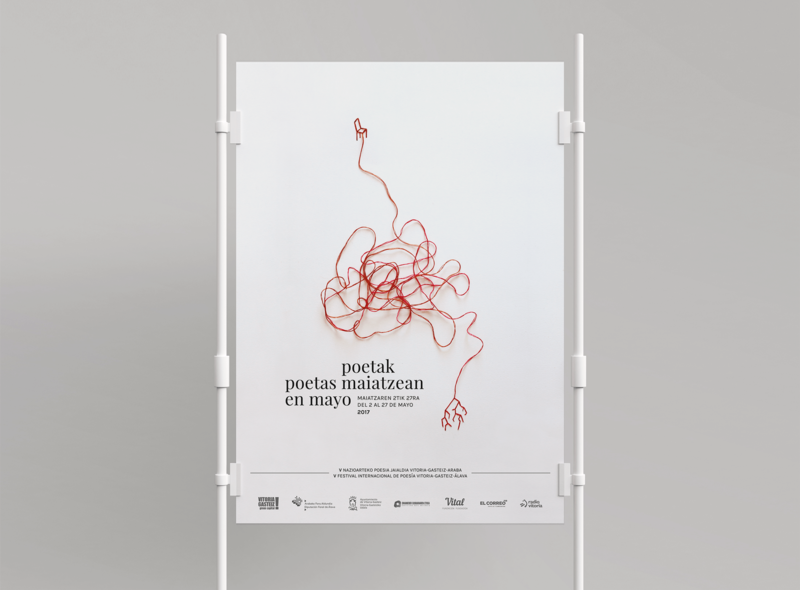 The organization of the International Poetry Festival of Vitoria-Gasteiz ("Poetas en mayo/Poets in May") commissioned me to develop the concept and design for the poster and collateral material for its fifth edition. 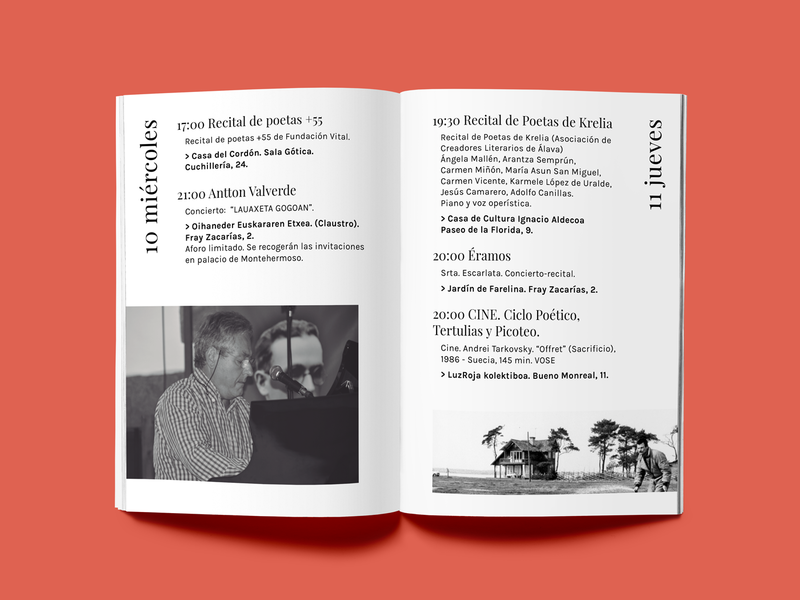 National and international poets and artists of the stature of Teresa Cervantes, Paco Ibáñez, Concha García or Bernando Atxaga took part in the event which lasted almost a month. 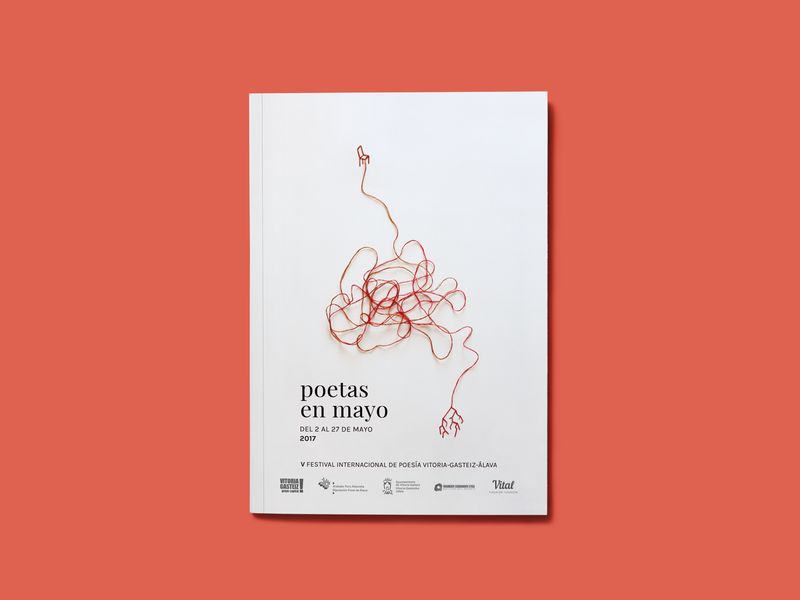 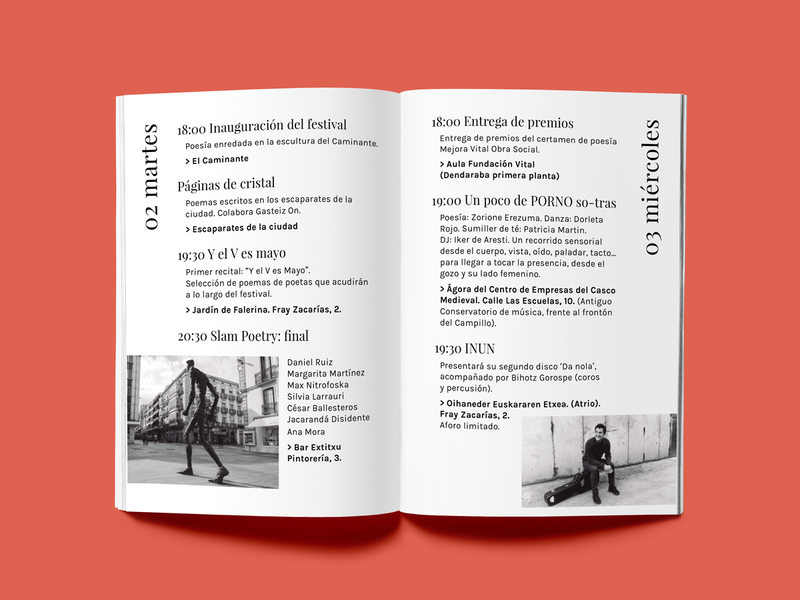 Throughout each edition, poetry unfolds through the streets of Vitoria-Gasteiz and the towns of Álava. 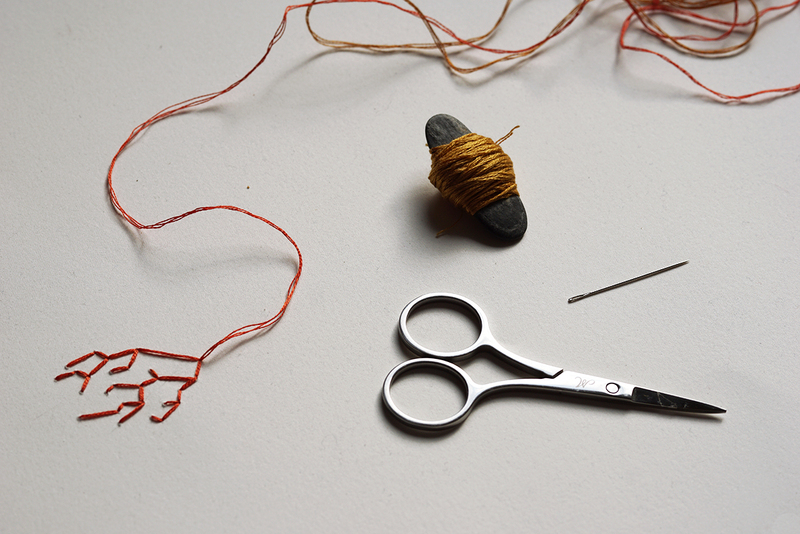 For this project I chose to work with hand embroidered illustration for its simplicity, graphic impact and the human quality of a handmade piece. 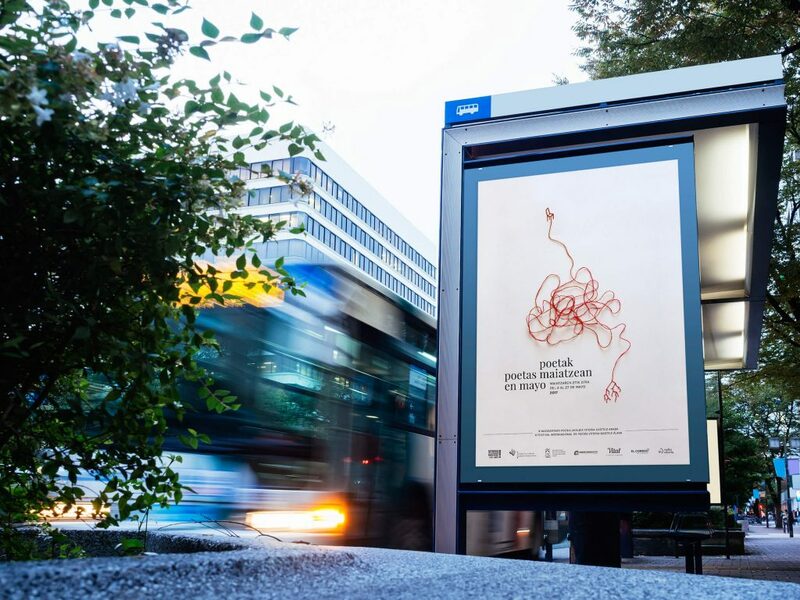 The illustration uses the thread as a metaphor for the poetic language. 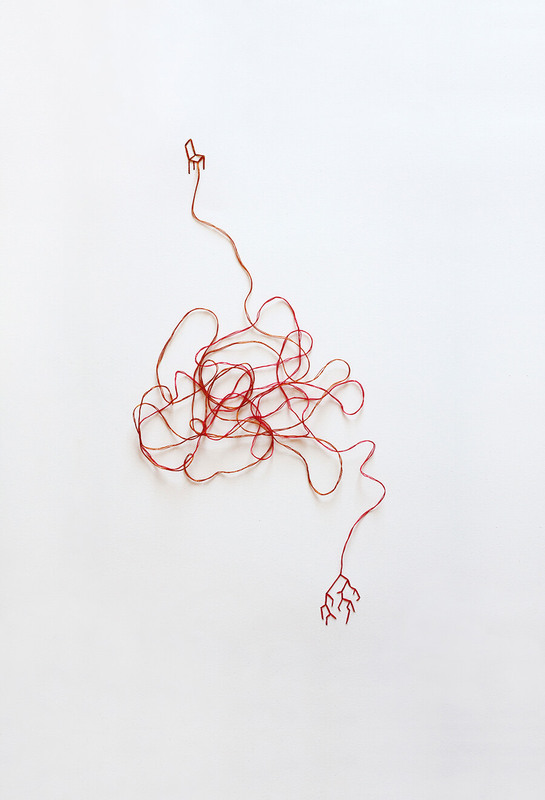 Roots and veins are identified with the visceral, which wires our interior and transports life. 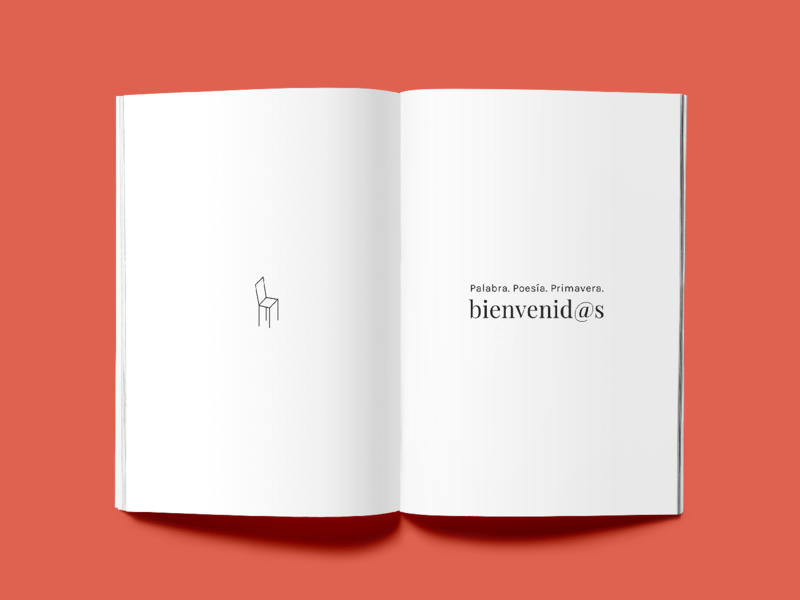 The chair represents the place reserved for the viewer, an invitation to connect and experience, as an individual as well as a community.